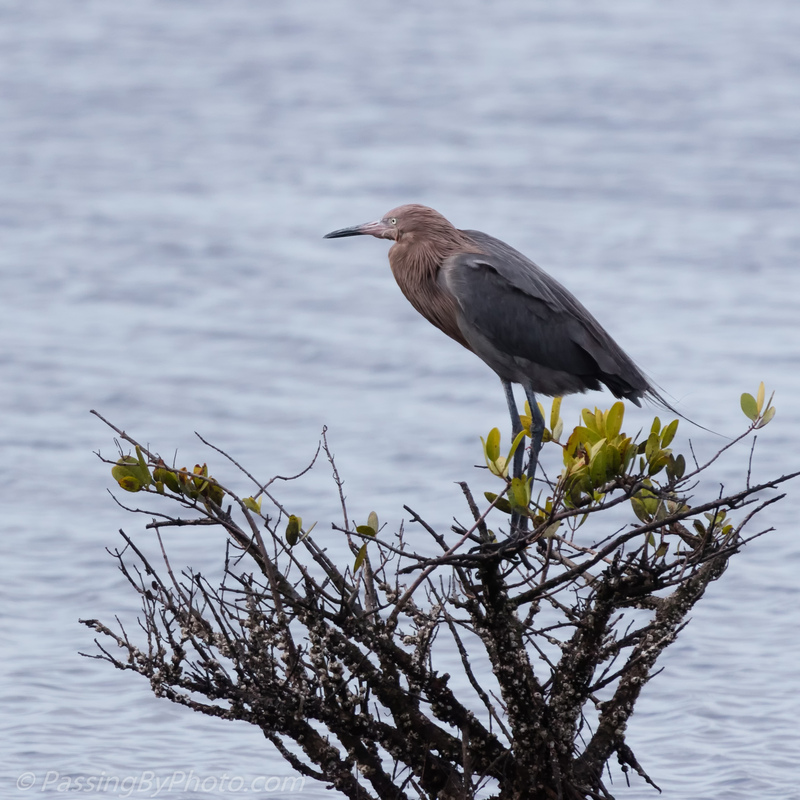 One of the birds that we don’t have in South Carolina that my group was looking forward to seeing on our Florida trip was the Reddish Egret. This Egret is known for a bill that goes from black at the base to pink at the tip and fishing antics that include running, jumping and spinning. We weren’t disappointed, and spotted one our first trip around Black Point Drive late the first afternoon. 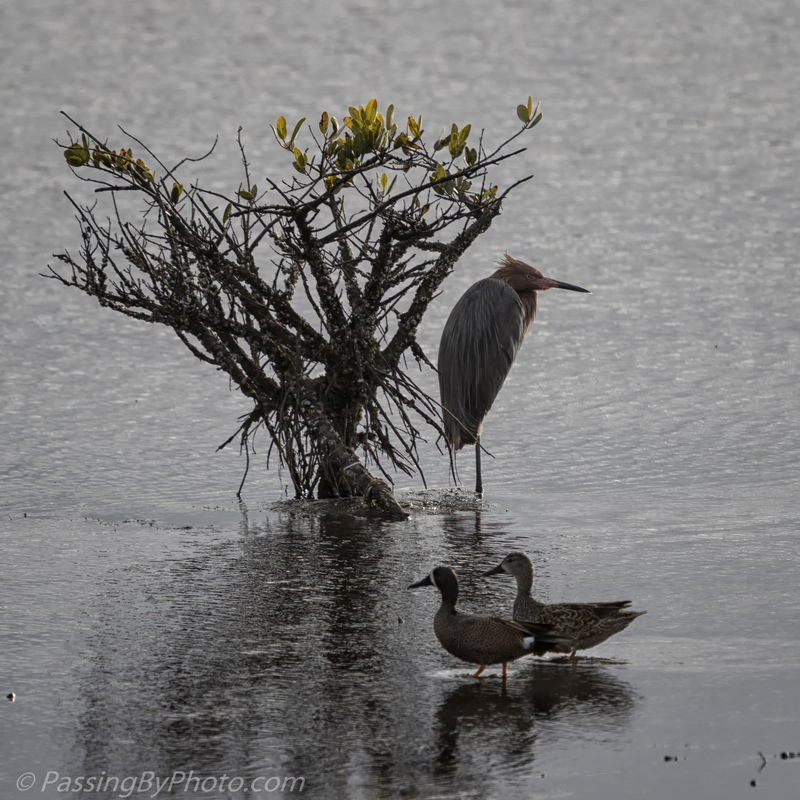 The light was low with no sun but his pink bill stood out. 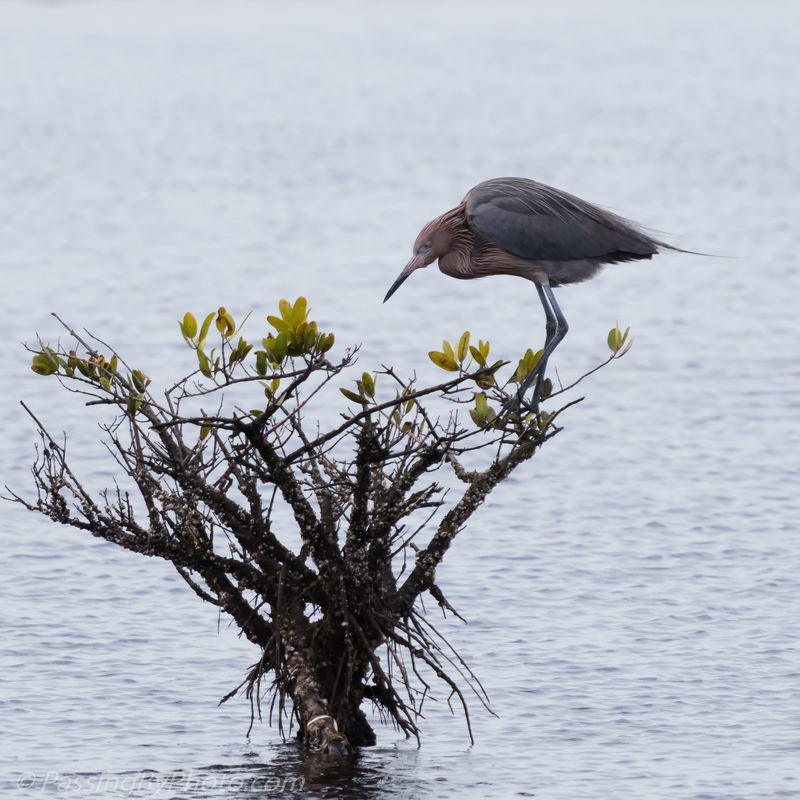 We took the same route the next morning and found another, or maybe the same, Reddish Egret in the same mangrove clump. That day was cloudy, too, so we didn’t see the full iridescence of the red feathers. He appeared to be scanning the water and I hoped to see the famous Reddish Egret dance, but he outlasted me as he just looked around. Previous PostI’ve Got a SecretNext PostDo Dogs Like Sunsets? Wonderful photos Ellen! Always exciting to see a new species.